174 pages | 34 B/W Illus. 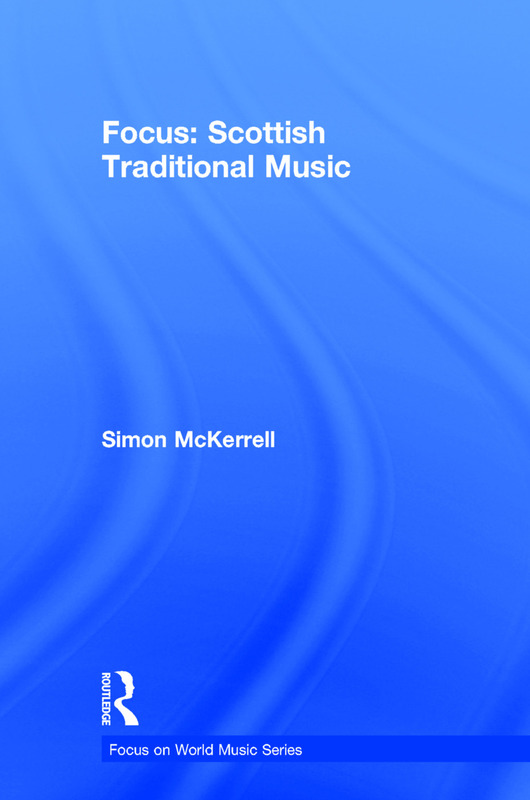 Focus: Scottish Traditional Music engages methods from ethnomusicology, popular music studies, cultural studies, and media studies to explain how complex Scottish identities and culture are constructed in the traditional music and culture of Scotland. This book examines Scottish music through their social and performative contexts, outlining vocal traditions such as lullabies, mining songs, Scottish ballads, herding songs, and protest songs as well as instrumental traditions such as fiddle music, country dances, and informal evening pub sessions. Case studies explore the key ideas in understanding Scotland musically by exploring ethnicity, Britishness, belonging, politics, transmission and performance, positioning the cultural identity of Scotland within the United Kingdom. Visit the author's companion website at http://www.scottishtraditionalmusic.org/ for additional resources. Simon McKerrell is Senior Lecturer in Music and Head of the International Centre for Music Studies at Newcastle University, UK. The Focus on World Music Series is designed specifically for area courses in world music and ethnomusicology. Written by the top ethnomusicologists in their field, the Focus books balance sound pedagogy with exemplary scholarship. Each book provides a telescopic view of the musics and cultures addressed, giving the reader a general introduction on the music and culture of the area and then zooming in on different musical styles with in-depth case studies.